Hello and welcome to the last day of the Cardigan Round Up! I'm pleased to be one of your stops, today. I'll be featuring Love Notions Boyfriend Cardigan and Mouse House Creations Julia Women's Cardigan. I don't know about you, but I'm ready for fall.... cooler weather, boots and pumpkin spice EVERYTHING...!! 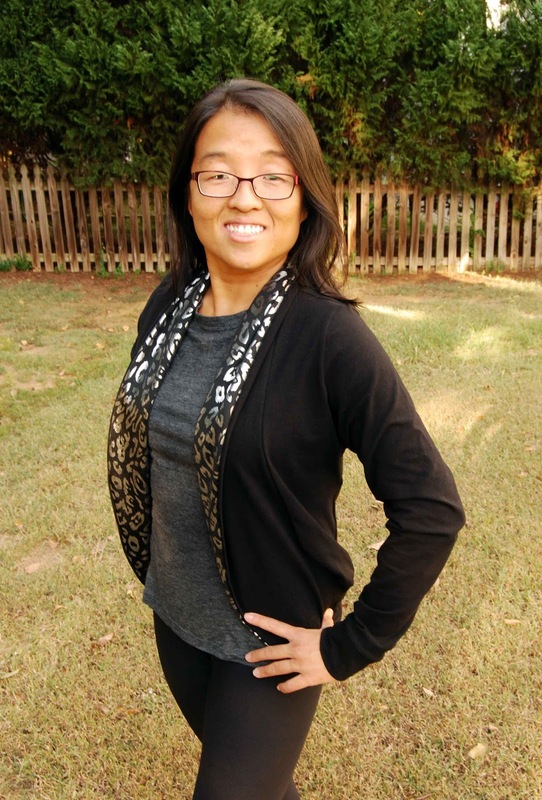 One of my favorite things about fall, though, is the chance to wear cardigans. 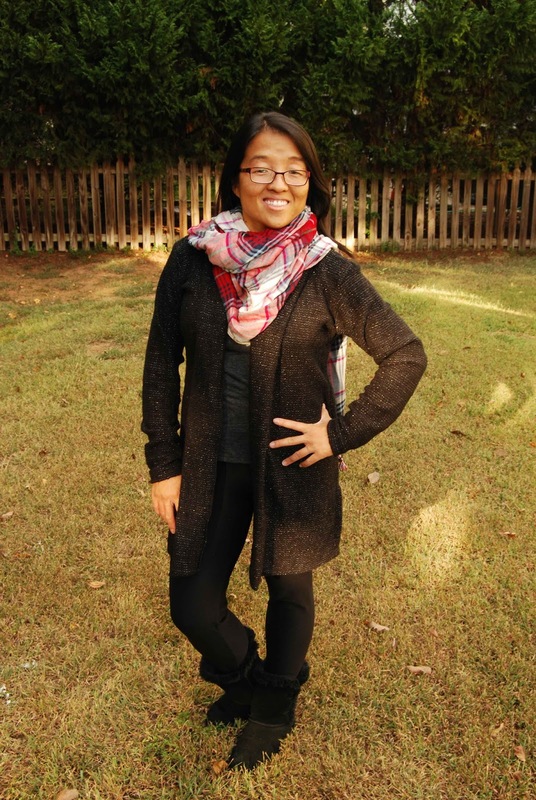 Cozy, wrapped up, layered, warm CARDIGANS! Since really getting into sewing and sewing for myself, one of my favorite things to sew for myself is a nice, comfy cardi. 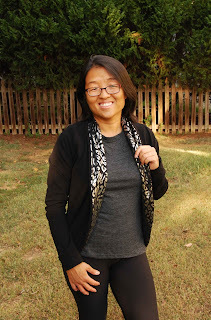 There are so many PDF sewing patterns for cardigans out there and I've definitely sampled a bunch of them. The Jalie Cocoon Cardigan, Little Lizard King Library Cardigan and others... Cardigans are easy to wear, fun to style and they instantly pull an outfit together! 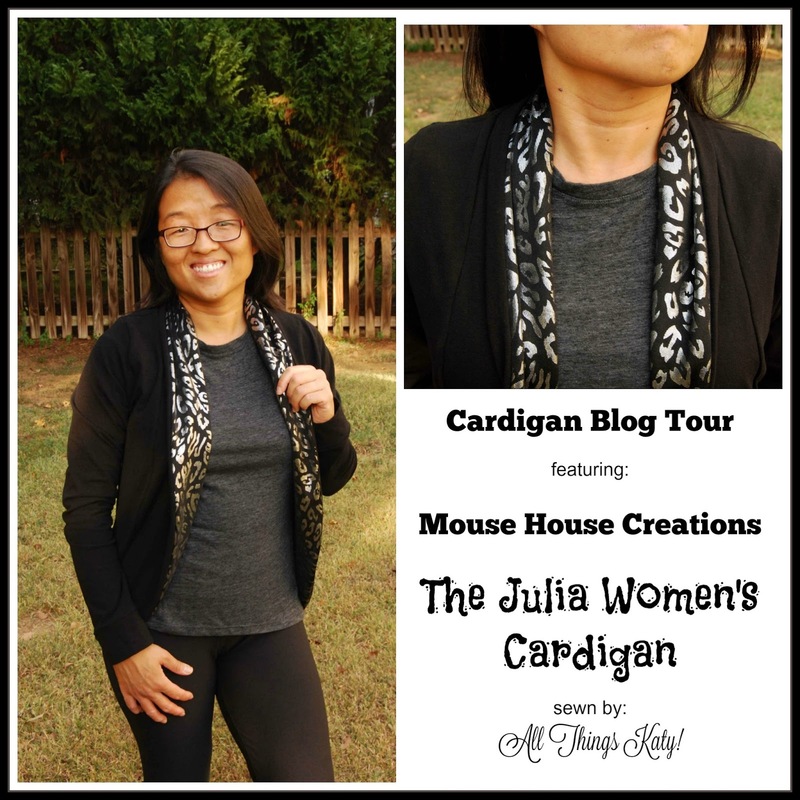 First up, I sewed the Mouse House Creations Julia Women's Cardigan. I have wanted to sew this pattern for the longest time and this Cardigan Round Up Tour seemed like the perfect opportunity. 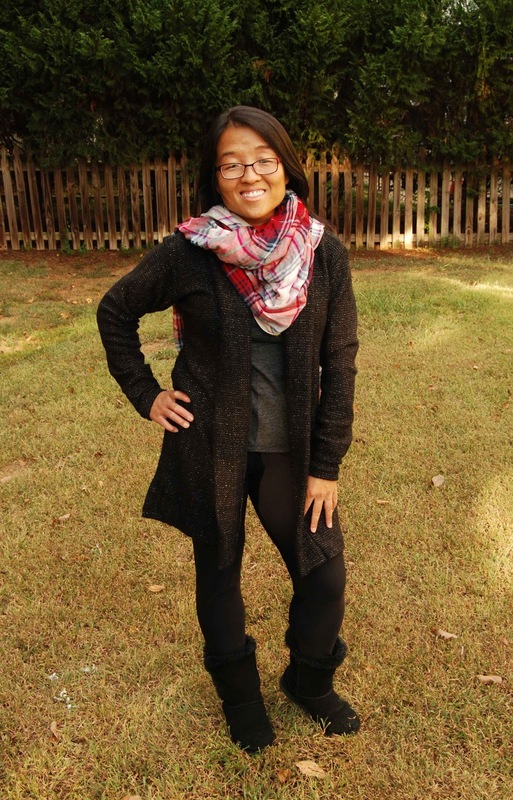 -The Mouse House Creations Julia Women's Cardigan is sized for XS-XXXL. -The Mouse House Creations Julia Women's Cardigan includes three sleeve lengths- extended cap, 3/4 and long. -The Mouse House Creations Julia Women's Cardigan is written for knits and has two finishing techniques- hemmed or doubled over/no hem. -The Mouse House Creations Julia Women's Cardigan PDF sewing pattern includes finished measurements, fabric requirement chart, sizing guide, glossary of terms, print layout, printing instructions. 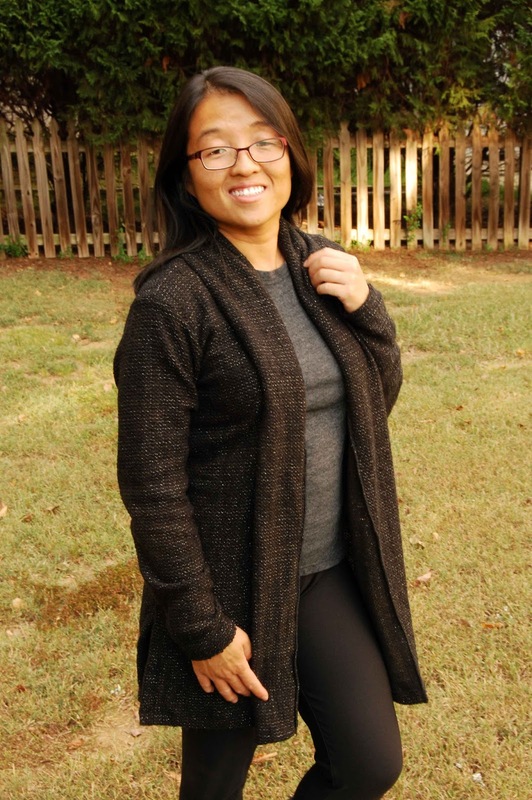 -The Mouse House Creations Julia Women's Cardigan PDF sewing pattern includes step-by-step written instructions and accompanying photographs. I sewed up a size small, long sleeve, doubled over/no hem Mouse House Creations Julia Women's Cardigan. Because I am 5'-0" tall, I shortened the body of the cardigan by 1 1/2" and the sleeves by 1/2". 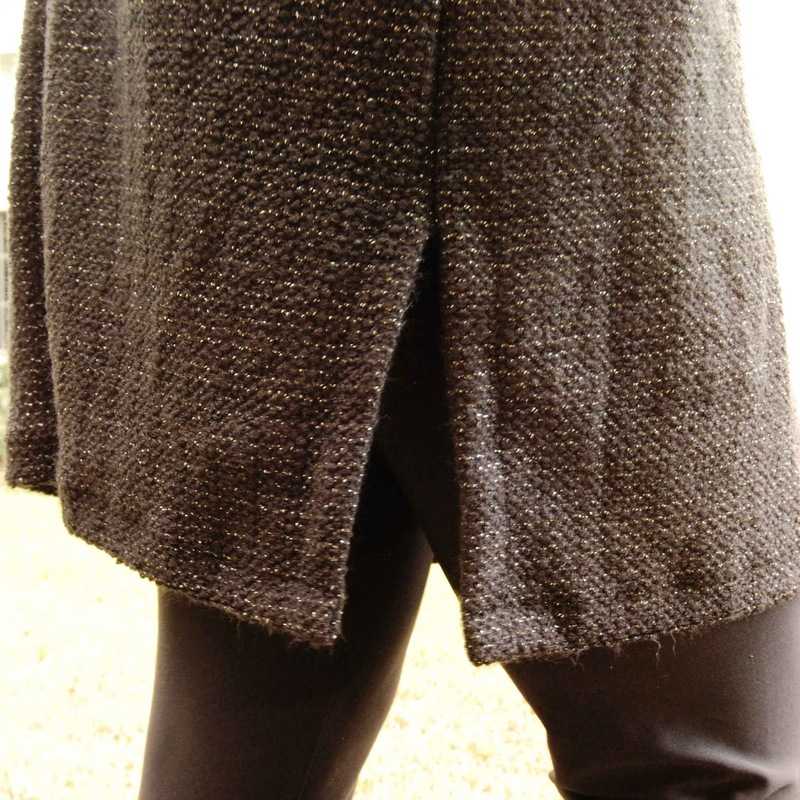 The body of the cardigan hits directly below the seat and the sleeves are wrist-length. I used cotton lycra for the body of the cardigan. The doubled/no hem option makes it quick and simple to finish the Mouse House Creations Julia Women's Cardigan. I've already worn it to work and gotten many compliments on it. 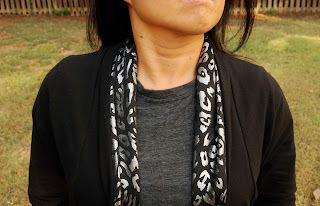 The metallic animal print is a bit "loud" for me, but it does add a bit of interest to a basic black cardi! 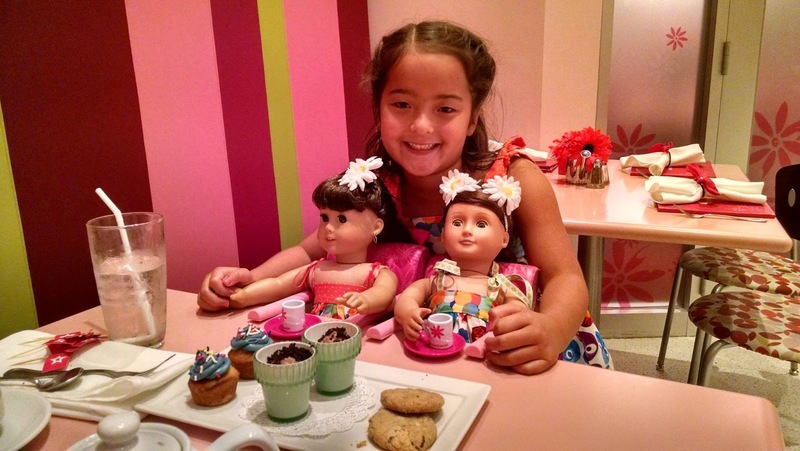 Sew fun! The second cardigan that I sewed up for the Cardigan Round up Tour is the Love Notions Boyfriend Cardigan. -The Love Notions Boyfriend Cardigan is sized for XS-XXXL. -The Love Notions Boyfriend Cardigan PDF sewing pattern features no-trim, layered pattern pieces. That means that you only print the size that you need and there is no need to trim the pages before you assemble them- one of my favorite PDF sewing pattern features! 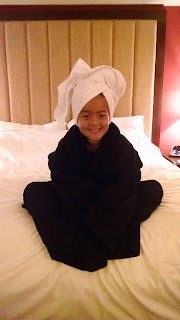 -The Love Notions Boyfriend Cardigan includes two views- shawl collar or hood. 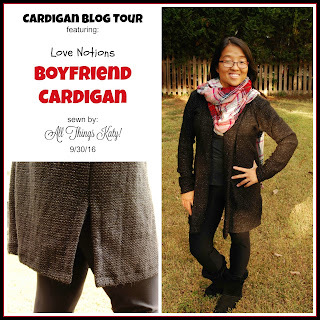 -The Love Notions Boyfriend Cardigan PDF sewing pattern includes fabric requirement chart, print pages, size chart and layout diagram. 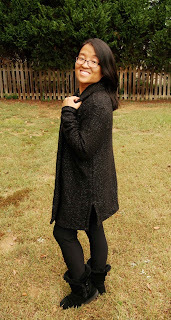 -The Love Notions Boyfriend Cardigan PDF sewing pattern includes step-by-step written instruction with shaded diagrams. 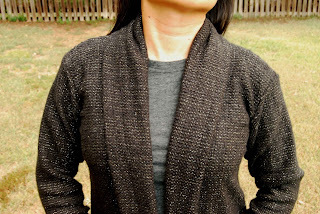 I sewed up a size small shawl collar Love Notions Boyfriend Cardigan. I did NOT include the pockets in my garment. Also, I deducted 2" of length at the included lengthen/shorten line to account for my height. 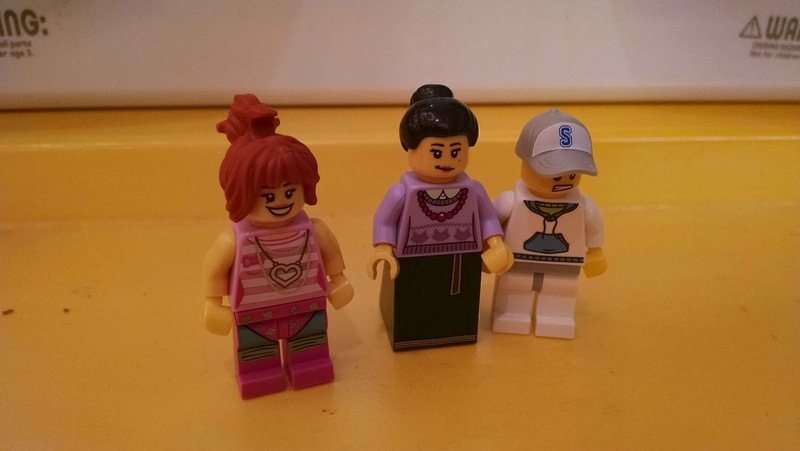 The cardigan hits mid-thigh. I used sweater knit from my personal stash (I believe I originally purchased it at Hancock's before it went out of business). The Love Notions Boyfriend Cardigan is a great layering piece. It's so comfy and easy to sew up! I'm blogging over on the Made for Mermaids blog, today! 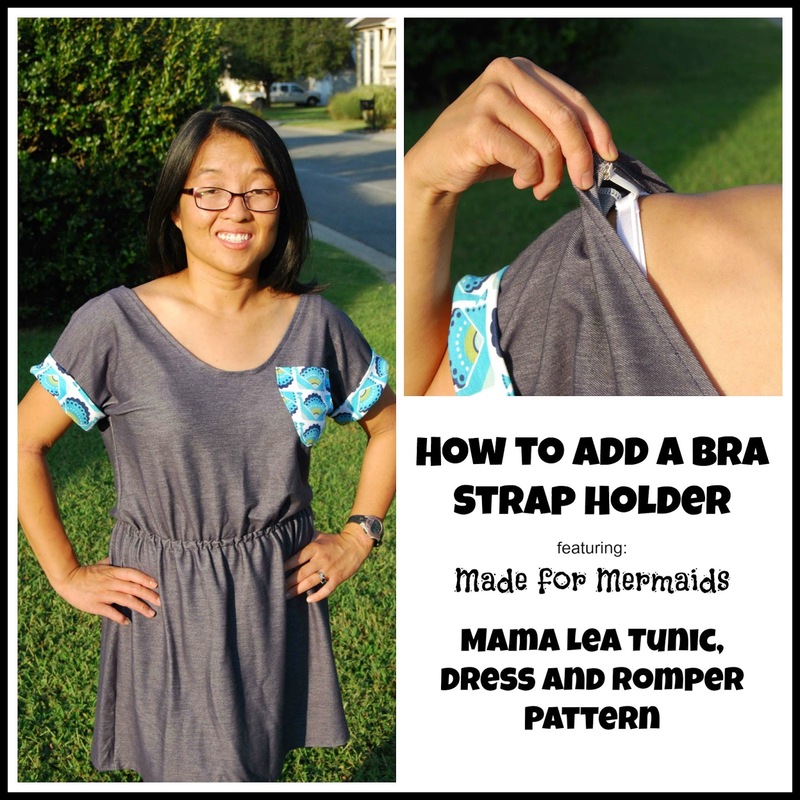 Join me as I show you how to add a simple bra strap holder to the Made for Mermaids Mama Lea Tunic, Dress and Romper Pattern! 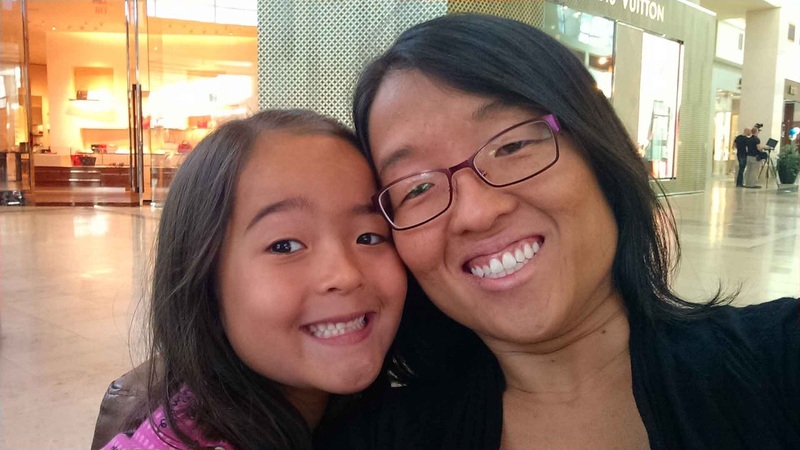 Over Labor Day weekend, while hubs was having his annual "Guys Weekend" at home, having fun with long-time friends, playing games and picking the perfect, "winning" fantasy football team, Lil' Miss and I started our own tradition- Mommy/Katy weekend! Katy and I chatted. I got glimpses into her world. 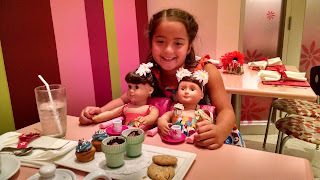 I had coffee/Lil' Miss enjoyed some treats. I tried so hard to savor every moment. Most of all, though, we just enjoyed making memories together!